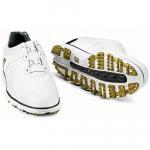 Amp up your performance with these ultimate FootJoy Tour-S golf shoes. FootJoy Tour-S Golf Shoes feature premium leather with a carbon fiber heel cup to bring you incredible stability and athletic styling in one ultimate shoe. 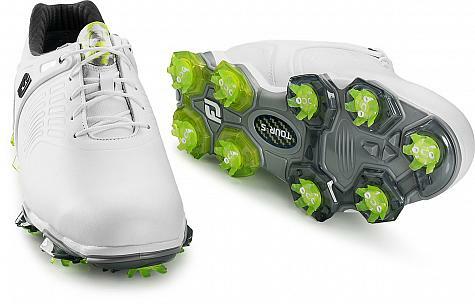 These FootJoy golf shoes are constructed with an outsole plate for support and stability, while a lightweight TPU Power Strap harness regulates footwork for a great swing. Pure Performance Luxury by Pittards - premium leather sourced by Pittards for an incredible top grade feel, finish, and water protection. Two-Year Limited Waterproof Warranty - FootJoy warrants that this golf shoe will be waterproof in normal use for two years (U.S. Warranty). TPU Power Strap - molded component integrated into the shoe’s upper to provide lock-down medial and lateral support. Dual Density PU fit-bed - Offers extreme underfoot comfort and heel support, ensures a comfortable underfoot environment by dampening shock while walking. SecureCollar and ComforTongue technology - delivers a secure, precise fit round after round. Proprietary Pebax Powered chassis by Arkema - delivers ultra lightweight tensile strength in full foot stabilizer. 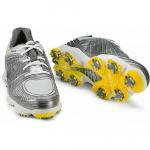 Laser Plus Last - Full rounded toe character, standard fit across forefoot and instep, with a slightly narrow heel. 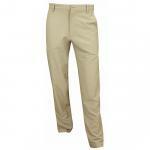 Thicker insole provides increased underfoot cushioning for enhanced comfort. LaunchPODS - Nine strategically placed TPU PODS provide tremendous stability, durability and ground contact throughout the golf swing. Carbon fiber heel cup - along with outsole plate delivers support, stability, and motion control. PowerPlate outsole - provides an incredibly lightweight yet stable platform from which players efficiently transfer power throughout the golf swing.